As a former middle grade classroom teacher, I always had hundreds of resources to fill the time when we had 5 minutes left in an activity. I called them Brain Fillers. They also turned out to be good resources for long airport waits, kids getting bored in the back seat, and numerous New Year’s Eve parties. I’ll try and post a sample each week. This first example comes from a site called PUZZLEMAKER. It’s easy and a variety of puzzles types can be created. The one below is called Fallen Phrase. I used this one a lot when I’d find words or phrases students had trouble reading. Or in this case, showing examples of a famous author’s writing so that a student could learn from the pros. Underneath each column you choose one letter that would fit in a single box above to complete a phrase. After you use a letter, cross it out. This particular Fallen Phrase is the first sentence in a famous middle grade book that has sold close to 110 million copies since it came out in 1997. You can drag the puzzle to your own desktop and print it out. Enjoy. 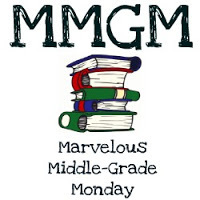 This entry was posted in Resources and tagged Brain Fillers, Middle grade, middle grade classroom teacher, Puzzles. Bookmark the permalink. This looks like a great resource. Thanks for sharing. I can use this in the classroom.